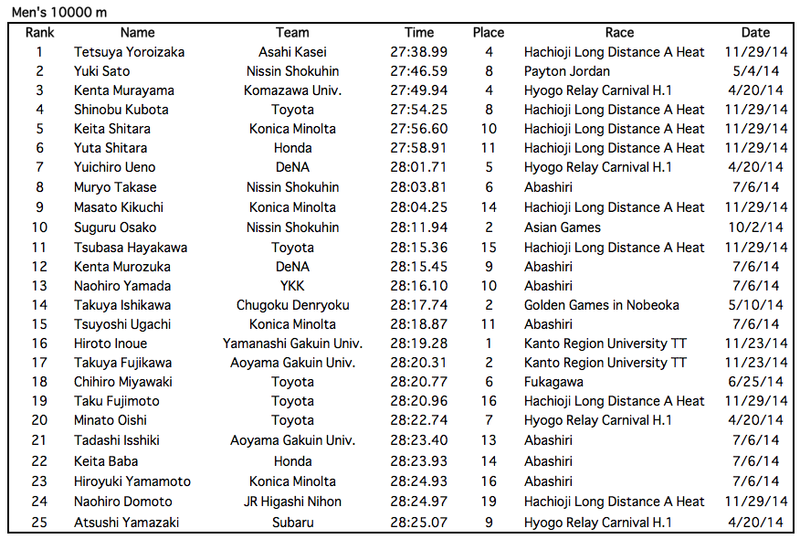 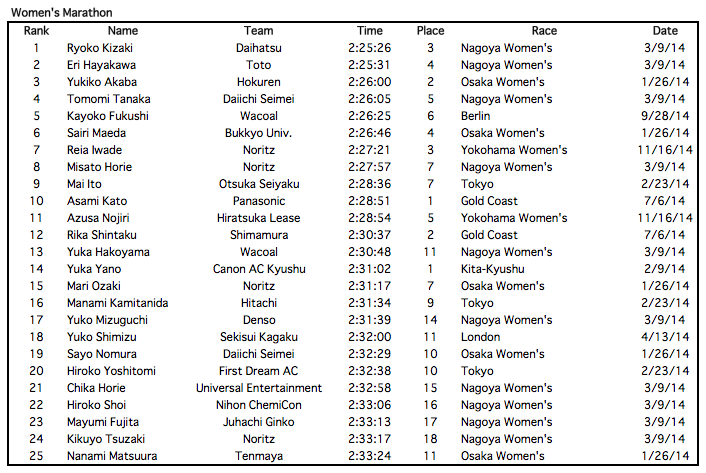 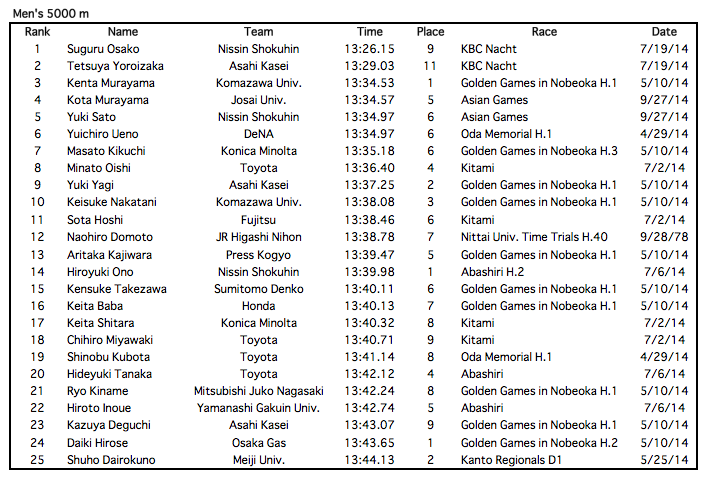 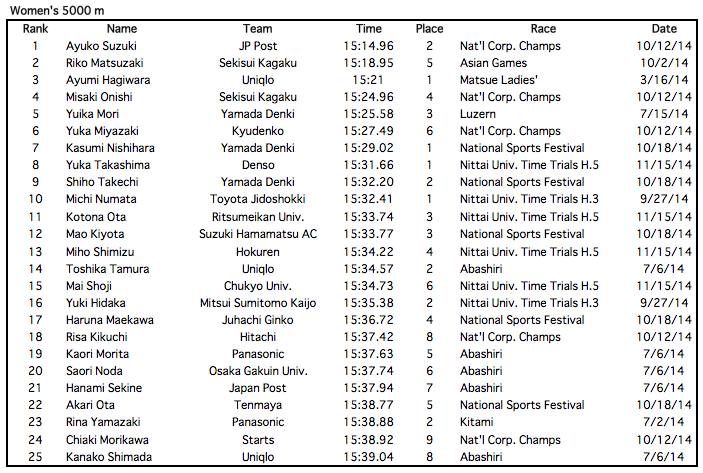 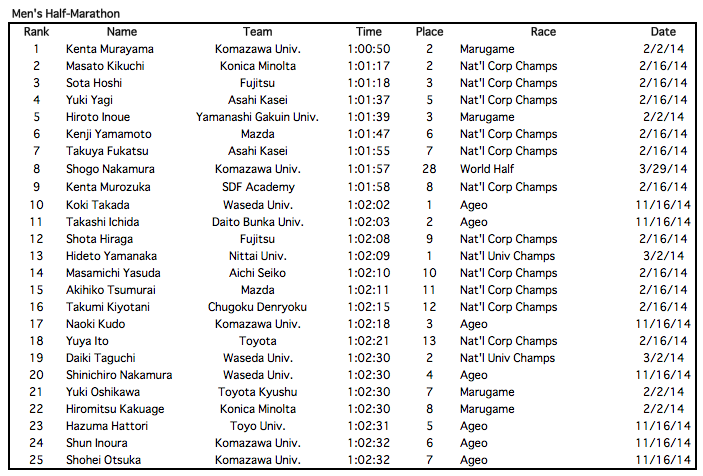 JRN's 2014 Japanese track and road distance running rankings. 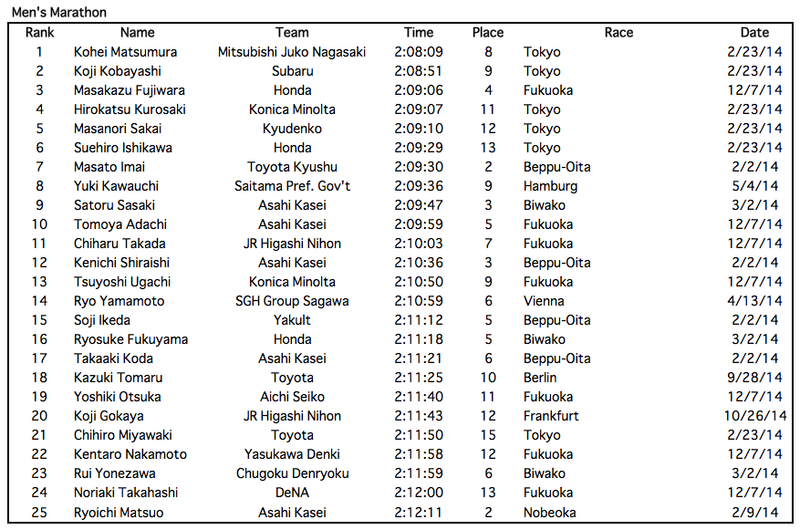 Overall rankings are calculated using runner's times and placings in races over 5000 m, 10000 m, half-marathon and marathon and the strength of these performances relative to others in the top ten in each category. 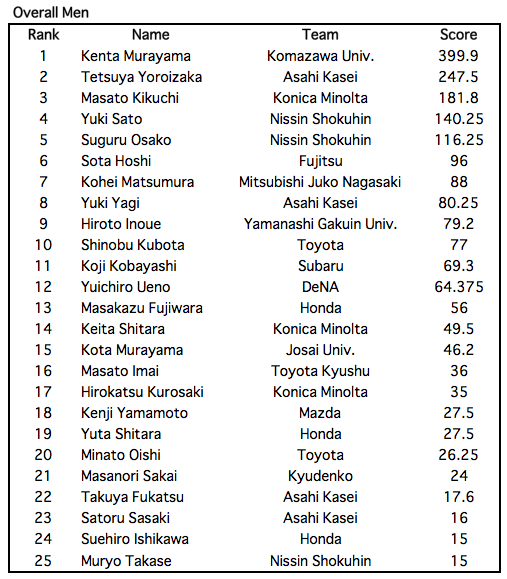 Click any image to enlarge. 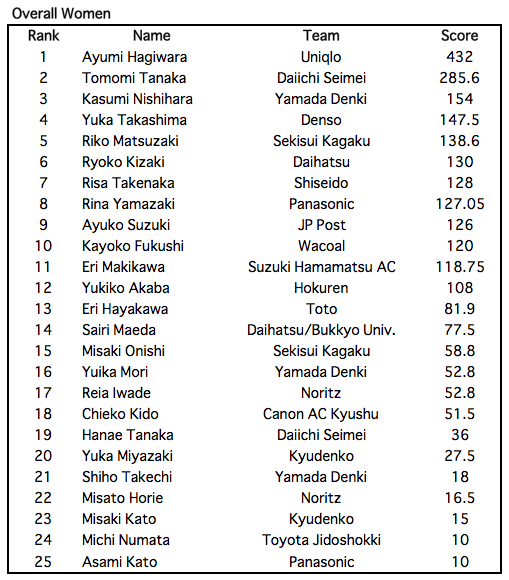 I can just see one image there. 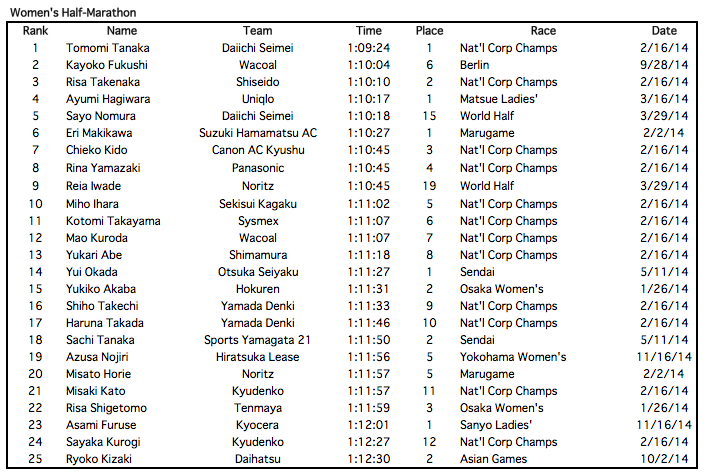 There's only the women's 5000 m at the moment. 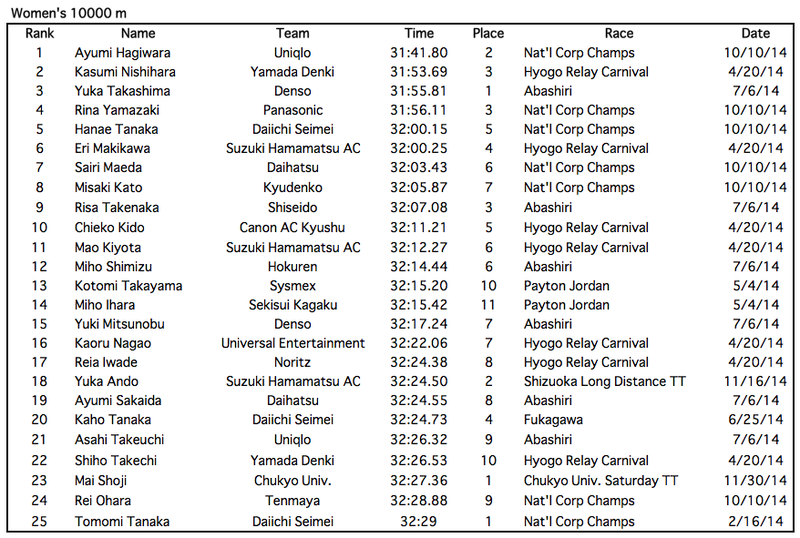 Other distances and overall rankings will be added as the season progresses.